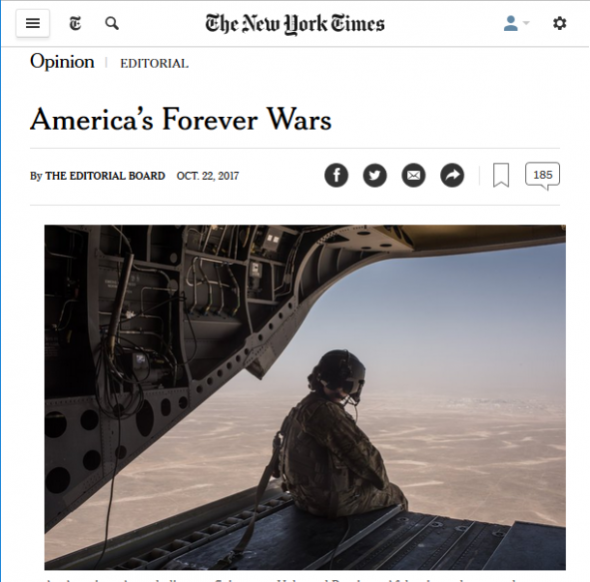 The United States has been at war continuously since the attacks of 9/11 and now has just over 240,000 active-duty and reserve troops in at least 172 countries and territories…. American forces are actively engaged not only in the conflicts in Afghanistan, Iraq, Syria and Yemen that have dominated the news, but also in Niger and Somalia, both recently the scene of deadly attacks, as well as Jordan, Thailand and elsewhere. An additional 37,813 troops serve on presumably secret assignment in places listed simply as “unknown.” The Pentagon provided no further explanation. 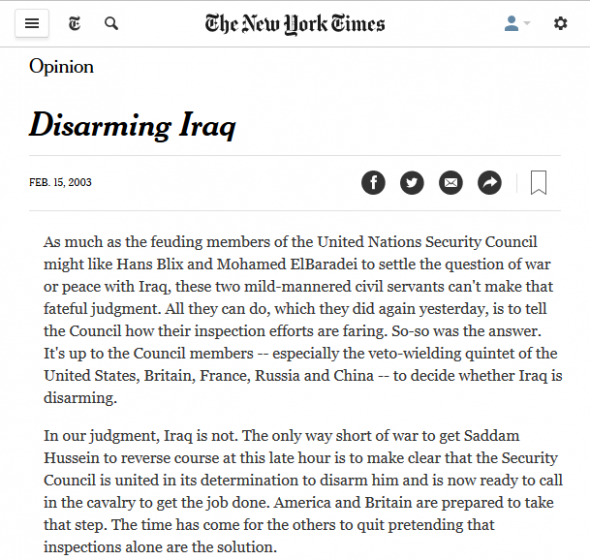 …and the invasion of Iraq (New York Times, 2/20/03). “You reasonably ask, Why does the Congress and White House allow this? But, of course, the answer is that Congress, the President (faux-Emperor Trump), and too much of the infrastructure of the; corporate, financial, militarist, media, extra-legal, CFR ‘Plot-Tanks’, and dual-party Vichy-political facade of this reality is invested in continuing in ‘acting like a global Empire’. 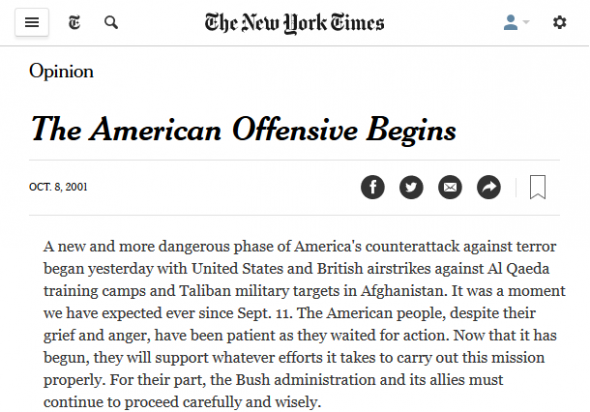 The NY Times is a right wing rag that occasionally and ineptly pretends to be an advocate against the US imperial police state administered by Democrats and Republicans. 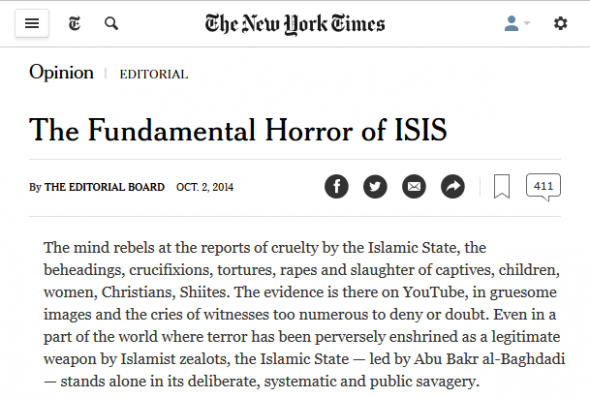 In the real world the NY Times is the newspaper of record for the imperial police state and has been for over a century.